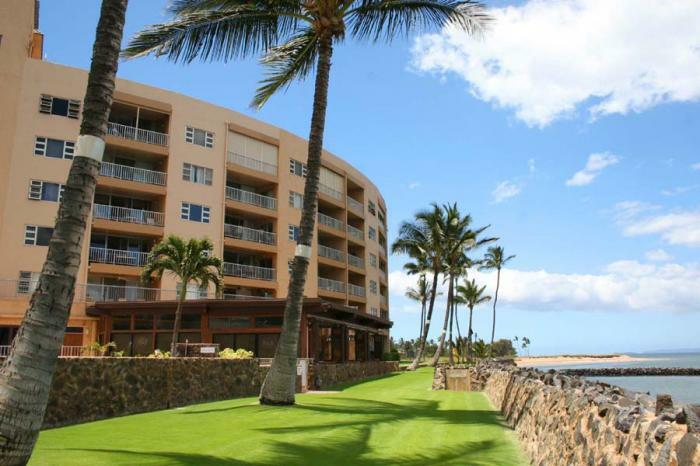 Soak up the sun and take in the ambiance from the pool deck or sandy beach at Menehune Shores. This six story building is a sea facing property with breathtaking 360-degree views. 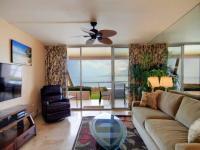 Sit back, relax and appreciate the beautiful sunsets from the comfort of your own condo. Next to this property is the historic 16th century ancient Hawaiian fishpond that was listed on the National Register of Historic Places in 1996. The stretch of sand tends to be less crowded than some of the other, better-known beaches, so you'll experience a more low-key atmosphere. The property features an on-site restaurant and is in a conveniently located for all of your exciting Maui adventures to begin. You'll find plenty of sightseeing attractions as well as diverse restaurants, boutiques and gift shops just a short drive away. Fall in love with the intimate and relaxed atmosphere of Maui and the Menehune Shores uniqueness.